It’s been almost a year since Daigo “The Beast” Umehara has won a premier level SFV tournament. 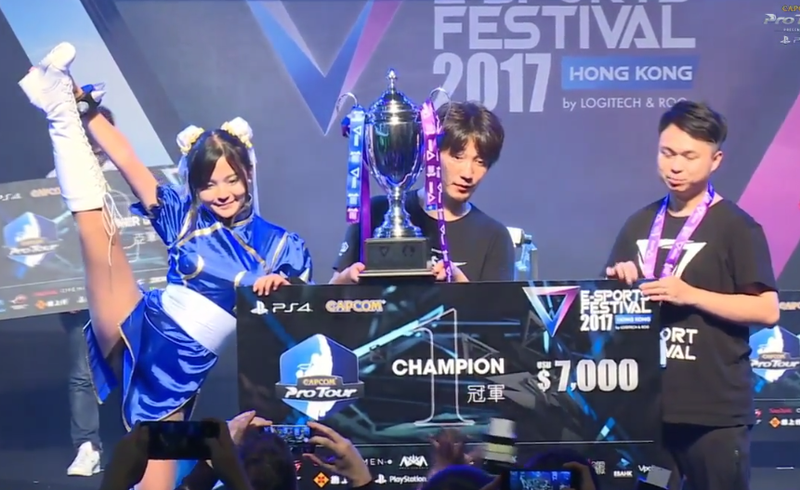 That changed earlier today when he took first place at the Hong Kong Esports Festival, a victory many in the fighting game world were glad (and possibly relieved) to see the aging star a achieve. Ever since the latest game in the series, Daigo has struggled, fading somewhat from Beast to underdog. He didn’t even make it to the top sixteen at this year’s Evo, and had to switch from Ryu to Guile after his plan to train with the former failed to pan out. On the more defensive player, however, Daigo has shown some flicker’s of his former majesty with punishing counters. Throughout the tournament he was able to capitalize on his opponent’s mistakes. In the winner’s finals against opponent Kanamori “Gachikun” Tsunehori, Daigo was able to gain the upper hand in a close-fought contest by flooding the zone with sonic booms and using the onslaught to keep him off balance. The edge gave Daigo the win and sent Gachikun down to the losers finals. It was crucial too, since the latter would come back to face Daigo in the grand finals and trounce him in the first set 3-0. But the shaggy-haired pro was able to reset himself and return the favor in the second set, earning a much needed tournament win to demonstrate there was still greatness left for him to draw on when it counted. The pageantry surrounding the event spoke to just how eager people are to see The Beast exercise his former abilities. Raw hot dogs were eaten in his honor, with one of the event’s hosts even fanning the champion after the tournament’s conclusion. And then of course there’s the champion himself, who reminded everyone precisely why he’s so likable when he shuffled out on stage to collect his trophy and modest pay day looking somewhat lost and confused. It gave the impression at least of someone for whom humility comes naturally, even in the face of such a weighty legacy, and also for whom the theatrics attached to winning a tournament have been mostly resigned to memory. Everyone likes to see their heroes succeed once in a while. And also plastered.